Steven Sterlacchini‘s Judge Dredd fan film Judge Minty is going to be made available online in May, finally bringing The Law to the lawless masses after a number of convention and special screenings. 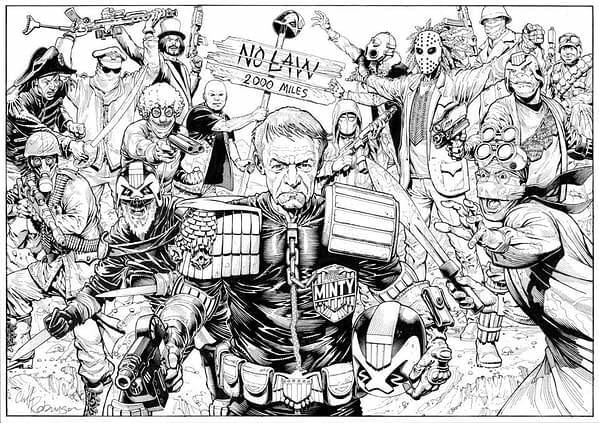 Amongst the cast of Minty is one Stephen Longdon, filling in a couple of smaller roles, and to commemorate his involvement, he commissioned beloved Dredd artist Cliff Robinson to draw the following, interpreting the lead figure of Judge Minty, some of the supporting characters and a couple of key images from the film. 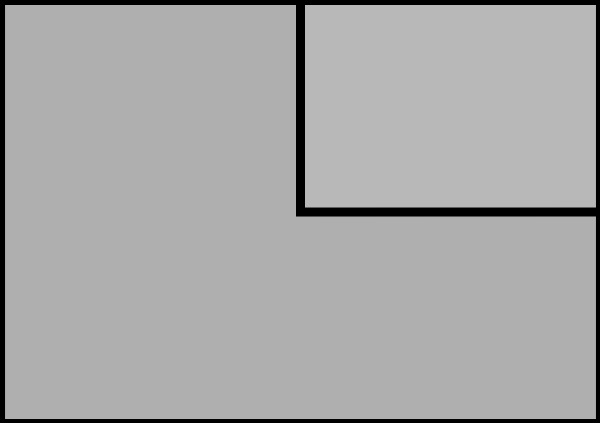 I guess it’s lightly spoilery, but only lightly.